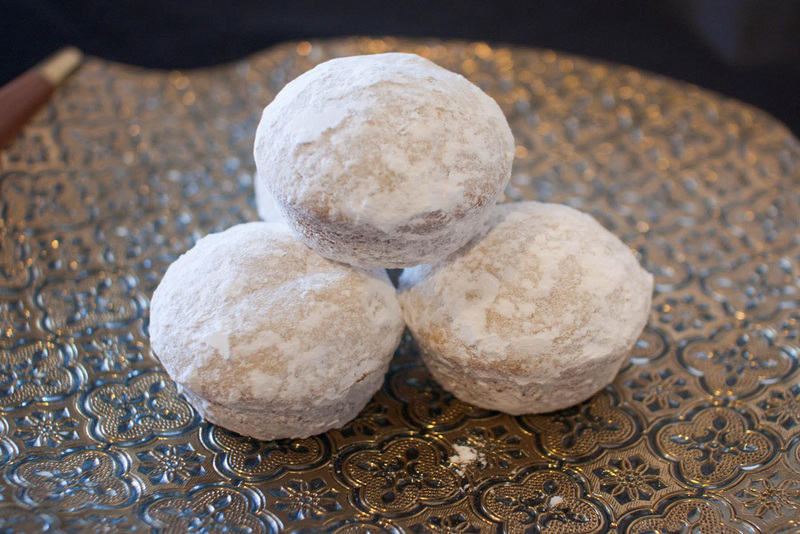 ON THE 5TH DAY OF CHRISTMAS MY TRUE LOVE GAVE TO ME: Melt In Your Mouth Snowball Cookies. These make one amazing cookie! Very few ever make it to our gift boxes. Part butter cookie, part heaven they are hard to resist, you can leave out the nuts or even put a Hershey kiss in the middle for a little sweet surprise! Step 2 Measure flour into a bowl (use dipping method) with salt, blend. Add to sugar mixture until just combined. Step 3 Stir in nuts. Step 4 Chill dough for at least an hour. If leaving it overnight, take it out of the fridge and let it sit out for a bit to loosen up before rolling out. Step 5 Preheat oven to 400 degrees. Step 6 Roll dough into 1” balls. Bake on ungreased baking sheets for 10-12 minutes until set but not brown. Step 7 While still warm, roll in confectioner’s sugar. Step 8 Let cool. Roll in sugar again.